With the highly anticipated The Martian, starring Matt Damon, out next week we’ve got 5 fantastic merchandise packs to give away! Each merchandise pack includes a pin badge, a plant, a keychain, a cap, a log book and a T-shirt. To be in with a chance of winning, enter via our competition app below! 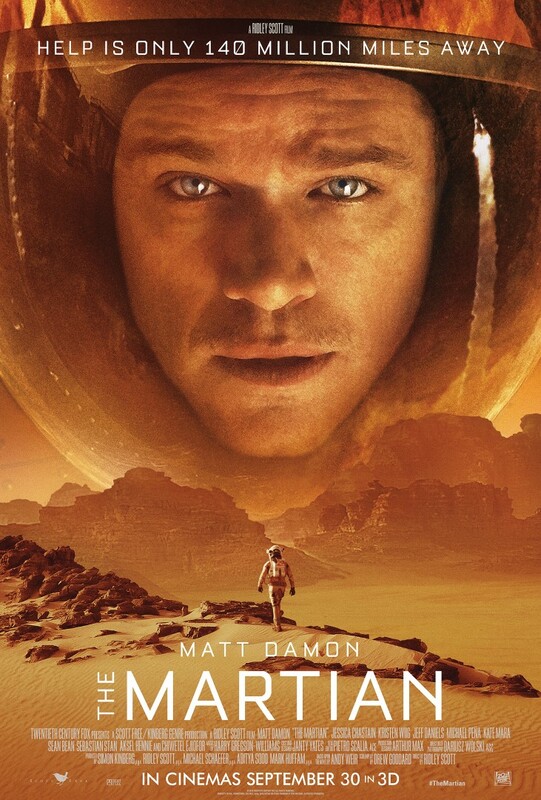 Synopsis: During a manned mission to Mars, Astronaut Mark Watney (Matt Damon) is presumed dead after a fierce storm and left behind by his crew. 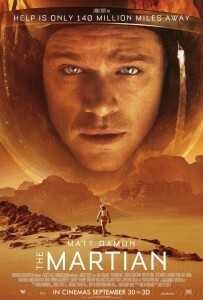 But Watney has survived and finds himself stranded and alone on the hostile planet. With only meager supplies, Watney must draw upon his ingenuity, wit and spirit to subsist and find a way to signal to Earth that he is alive. Millions of miles away, NASA and a team of international scientists work tirelessly to bring “the Martian” home, while his crewmates concurrently plot a daring, if not impossible, rescue mission. As these stories of incredible bravery unfold, the world comes together to root for Watney’s safe return. Based on a best-selling novel, and helmed by master director Ridley Scott, THE MARTIAN features a star-studded cast that includes Jessica Chastain, Kristen Wiig, Kate Mara, Michael Peña, Jeff Daniels, Chiwetel Ejiofor, and Donald Glover. The Martian is in UK cinemas on 30 September 2015. The competition ends at 23:59 on 14 October 2015. The prize consists of a The Martian merchandise pack which includes a Pin Badge, Plant, Keychain, Cap, Log Book and T-Shirt. Win Finding Dory & Finding Nemo Book Bundle!